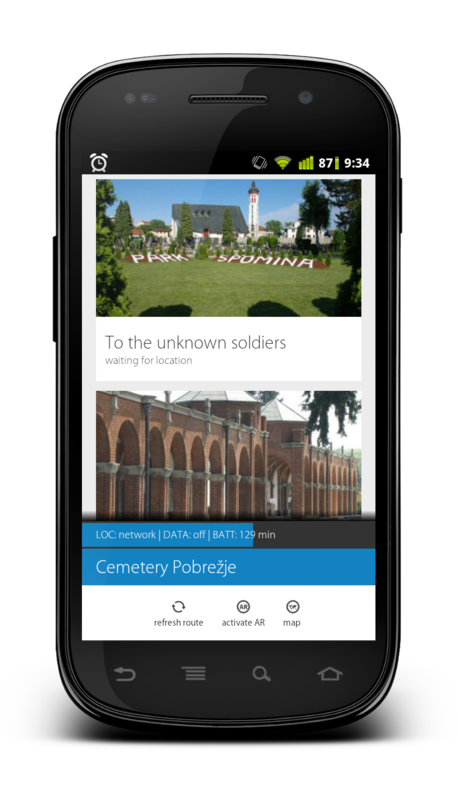 As already experienced in Maribor Pobrežje cemetery previous month, mobile guide is an interesting tool to promote cemeteries to younger generations. 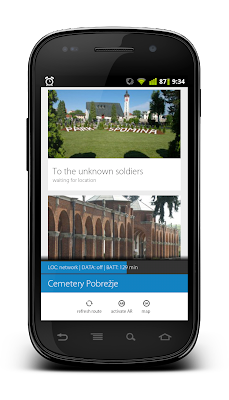 This month we will promote the mobile guide ARtour to cemetery visitors in Ljubljana and Maribor (Slovenia), Vienna (Austria), Oletta (France), Aviles (Spain) and Dublin (Ireland). During the developments of the guide, as well as the content, we have learned many important aspects of mobile guiding in cemeteries. The application was thus adapted to our findings and now provides optimal guiding in cemeteries without disrupting the infrastructure itself. Guiding is provided on GPS signal and monuments positions, so no other equipment or marks (QR codes) is required in cemetery. 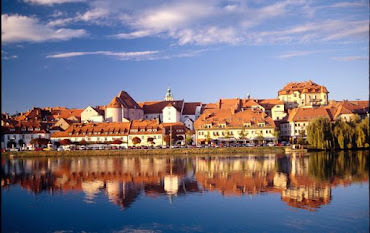 Content and maps are synchronized to devices thus not requiring internet connection or data transfer during visit. One of the most interesting aspect for younger generations, Augmented Reality, is added to mobile guide as well. Based on the experience from usage during Week of Discovering European Cemeteries and later, further developments will be done.